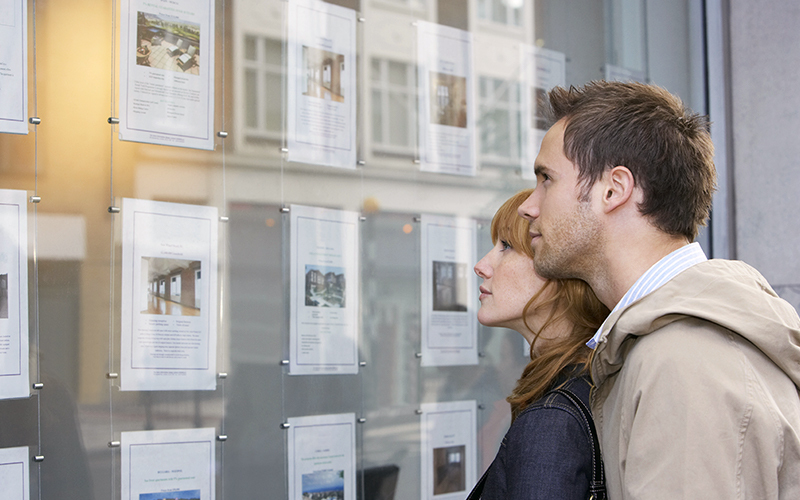 Don’t wait until you have fallen in love with a home to investigate your lending options. Meet with a lender prior to starting your house hunt. A lender will review your financials and provide valuable insight into how much home you can actually afford. You can also get a preapproval letter, which means that a lender has reviewed your documents and is ready to finance your loan. This will allow you to shop within a price range that you are comfortable with. And, when the time comes to make an offer, your preapproval letter will show the seller you mean business about purchasing their home. When looking for a home, search for one that you could imagine yourself living in for several years. Buying and moving is a huge financial investment. Try to find a home that can adapt to your family’s needs as your life changes, both in terms of the property and its location. Are you planning on having more children? Do you have a mother-in-law that plans to live with you at some point? Are there restaurants, medical facilities, schools, recreational options and entertainment nearby to accommodate your needs and lifestyle? All this factors into what makes a house your ideal home. Luckily in today’s society, there are various websites and online resources that make scouting neighborhoods simple. Almost every house for sale is listed online. You can even search for homes on social media platforms, such as Facebook and Instagram. If you are still uncertain which area you are interested in purchasing a home, check out a few open houses. Spend some time in and around the neighborhood you are interested in during different times of the day. Consider knocking on a neighbor’s door and asking them about the neighborhood. Chances are they would be more than happy to answer a few questions. After all, there is a potential you could become their new neighbor! Ask people you trust for referrals for a real estate professional. Your lender can give you a referral as well! Purchasing a home can be stressful and may trigger many emotions, so meet with a few realtors until you find one who meshes well with your personality and has expertise in the neighborhoods you are interested in. It’s okay to draw a hard line about the amount of rooms or neighborhood you want. However, don’t be unrealistic or blinded by minor imperfections. It is highly unlikely that a seller will have the exact same interior decorating tastes as you. So don’t let that yellow bathroom detract from everything else you liked about the house. A few coats of paint and those yellow walls will be a distant memory. It’s important to be just as realistic with your renovation skills as you are with your budget. If a kitchen remodel surpasses your DIY skills and hiring a professional isn’t within your budget, perhaps this particular house isn’t the right one for you. Have you recently found your dream home? Share your best house hunting tips in the comments below! I like that you mentioned to look around the neighborhood you are thinking of buying in, and to knock on a neighbor’s door. Talking to people in the neighborhood could give you good insight into the pros and cons of the area. I am looking for the right home for my family to move into this year. I will definitely give this a try as I search for the right place.